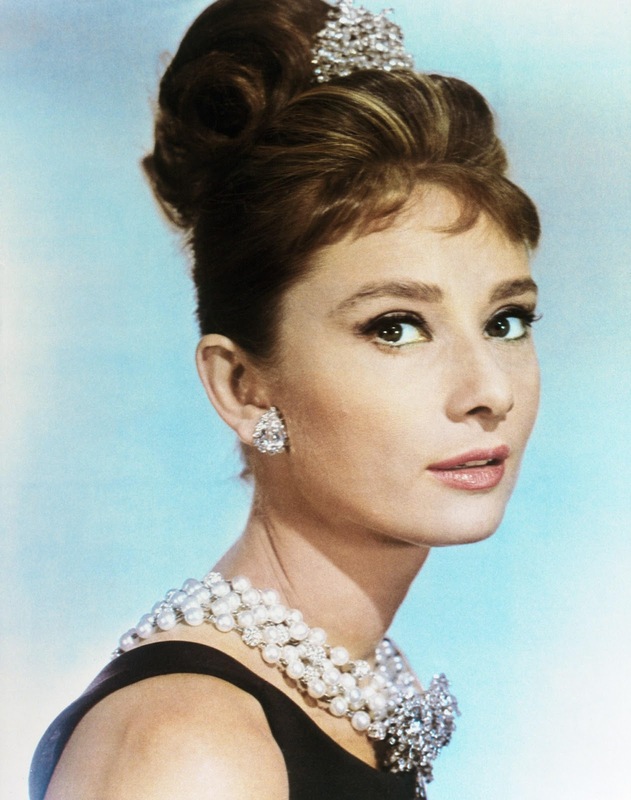 She survived in her furniture-less apartment by taking $50 tips everytime she needed to powder her nose, but still we all want to be Holly Golightly. Here, makeup maestro Kate O’Reilly shows us how to channel our inner Holly by painting her onto our face. Audrey Hepburn is an icon of effortless chic. She has none of the glossy red lips or frosted white eyeshadow of more obvious 50’s bombshells like Marilyn Monroe or Jane Mansfeild. Audrey’s is a more understated glamour. Here is the best way to achieve her look. Skin should be natural and glowing. Not too shimmery, not too matte. Try Chanel Vitaluminere foundation in a shade that matches your skin tone exactly. Give cheeks a flushed glow with a soft pink cream blush. Try Bobbi Brown Blushed Rose. Highlight undereye circles with makeup artists favorite; Givency Mister Bright. Finish your glowing skin with a light wash of powder such as Laura Mercier Finishing Powder. Define brows in a strong arch using eyeshadow or pencil. Apply a matte slate grey eyeshadow along your lash line and blend upwards. Don’t go higher than your sockets. For a night time Holly look, add some black liquid liner. Go for an angular flick that exagerates your lashes. False lahes will give that extra umph. Eyelure have redesigned their Girl’s Aloud range and Cheryl’s new style is just perfect! Throughout the film, Holly appears in a variety or coral coloured lipsticks. You can go coral red, coral pink or true coral depending on your mood! Keep it pale and not too vibrant. If you’re feeling REALLY brave, why not dye a small streak of hair blonde and chop a rediculously short fringe! Ah go on, you’ll look like Holly!